Make a style statement in the stunning Boho Dress by beachwear designer Juliet Dunn. 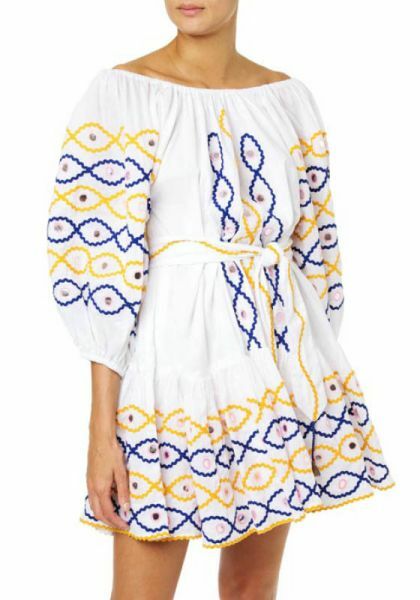 This stunning dress in White cotton with Blue and Mustard embroidery is lined and features oversized sleeves, an elasticated off shoulder neckline, belt, Rik Rak and mirror detail. Available in one size fits most.